Family law cases can involve numerous complex and emotional issues such as child custody, child support, visitation, spousal support, alimony, division of assets, dissolution, legal separation, prenuptial agreement, domestic violence, restraining orders, paternity, domestic partners, etc. When DCFS receives a report on the Child Abuse Hotline, they must open a referral and conduct an investigation. Depending on the results of the investigation, the referral could lead to your name being reported to the California Department of Justice as a child abuser, the opening of a DCFS case or, worst case scenario, your children being placed in a foster home pending a court hearing. We are available to defend your rights if DCFS contacts you to investigate a child abuse referral. The Child Abuse Central Index (CACI) is a list of names of suspected child abusers maintained by the California Department of Justice (DOJ). Each County in California must investigate child abuse referrals and report the names of the “substantiated” referrals to the DOJ for lifetime inclusion. If your name is on the CACI, it will appear on routine background checks. It could affect your employment, your ability to volunteer at your child’s school or daycare center, your ability to get a foster care license or to be a temporary relative caregiver and in many other ways. You have a right to challenge the “substantiated” finding through a grievance procedure with DCFS. You also have a right to further challenge the results of the grievance procedure by filing a writ in the Superior Court. The attorneys at Riley Khorram had formerly been the DCFS legal advisor on all CACI-related issues including grievance procedures and Superior court writs. Don’t let this lifetime inclusion on the CACI stay on your record. We are available to defend your rights if you are on the CACI. If DCFS denies your Adoption Homestudy, it is the equivalent of denying your adoption of a child. DCFS may or may not tell you of your right to a grievance hearing. The attorneys at Riley Khorram had formerly been the DCFS legal advisor on all grievance procedures including these denied homestudy grievance hearings. Allow us to assist you in overturning the homestudy denial and keeping your family’s adoption plans in place. If you are a foster parent or relative caregiver, DCFS must give you 7 days notice before removing a foster child from your home unless there is an emergency situation or a court order. In addition, DCFS must notify you of your right to a grievance hearing to challenge the removal. Furthermore, DCFS cannot remove the child until the completion of the grievance process. The attorneys at Riley Khorram had formerly been the DCFS legal advisor on all grievance procedures including 7 Day Notice Hearings. It is crucial that you act quickly on these matters to block the removal before the child is placed in a new home and begins “bonding” in the new foster home. We are available to defend your rights if you have been given 7 days notice of removal. An ASFA denial is when your home does not meet the physical standards required under federal law. This impediment usually prevents you from caring for a relative or non-relative foster child. You are entitled to a grievance hearing before a State Administrative Law Judge (ALJ) to address the alleged shortcomings. In addition, there are several “waivers” or “work-arounds” that DCFS can process to make your home compliant. At Riley Khorram we are here to assist you in appealing the ASFA denial and forcing DCFS to assist you in meeting or waiving the federal standards. If you are a state licensed or FFA certified care provider, you could be included in a “do not use” list or “hold” list that DCFS generates and maintains internally to track those foster parents who they do not want to place children with. If DCFS or your FFA notifies you that children cannot be placed in your home but does not give you a legitimate legal reason, it is likely you are on the “Do Not Use” list. You have rights that you may not be aware of. DCFS provides what they call an “administrative review conference” through their Out of Home Care Division to select state licensed foster parents on the “Do Not Use” list. In addition, if you are denied a grievance hearing, you may have civil rights and due process rights that have been violated by DCFS. The attorneys at Riley Khorram had formerly been the DCFS legal advisor on all grievance procedures including these administrative review conferences. We are available to defend your rights if you have been placed on the “Do Not Use” list. DCFS can remove your biological children and place them in a foster home pending the filing of a suspected child abuse petition. You are entitled to a court hearing within 72 hours. Needless to say, this can be the scariest time in a family’s history. Often times, the petition leads to months or years of court involvement and your children being away from your home under court orders. You need an experienced advocate to assist you in confronting DCFS right from the beginning. The attorneys at Riley Khorram have a combined 17 years of experience in the Juvenile Dependency Court system and can protect your family’s rights. We are available to represent your rights against DCFS during this difficult time. Once a dependency case has been started it can last months or even years. However, it is still not too late to hire an attorney to assist you. A variety of factors can affect your existing reunification case, such as the Disposition Case Plan that the judge orders you to complete before reunifying with your children, which DCFS office your case is being serviced out of, the personality of the CSW/SCSW on your case, the personality of the County attorney on your case, etc. The various statutory hearings and progress reports can be a minefield of procedural confusion for you and your family. The attorneys at Riley Khorram have previously represented DCFS in these court cases and advised CSWs, SCSWs and ARAs in how to service these cases and make recommendations to the court. We are available to represent your rights in an ongoing DCFS case and reunifying you with your children. As a foster parent, you have a wide array of statutory and regulatory rights that your social worker may not tell you about. 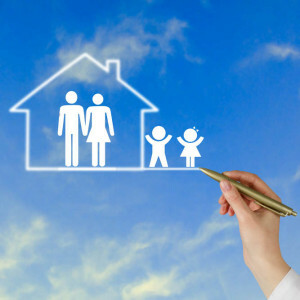 For example, you are entitled to submit a JV-290 at EVERY dependency hearing, you are entitled to legal notice of nearly EVERY court hearing, you should apply for De Facto Parent Status at the very first opportunity, you should request to be designated as the Prospective Adoptive Parent as early as possible. Foster parents are often left in the shadows in the juvenile dependency process. At Riley Khorram we are available to assist you in asserting your rights with DCFS and in the courtroom to preserve your new family bonds. Adoption can be a joyous occasion for a family and a true time to celebrate. However, it can take years from the .26 hearing to adoption finalization. During that precarious time, your family could be in legal limbo, subject to the whims of the social worker or DCFS. In addition, the non-profit public agencies that DCFS refers your adoption to are extremely backlogged and can take years to process your petition. For a reasonable flat fee, the attorneys at Riley Khorram can process your adoption to finalization so your family has the quickest possible security and closure. A contested adoption can take years to resolve and finalize. It can also take a huge emotional and mental toll on your family and child. You should not navigate this legal and procedural maze alone. At Riley Khorram we are here to assist you in navigating the adoption process and overcoming all obstacles to get to finalization and completion of your family. Under Wallis v. Spencer, DCFS social workers must obtain a warrant prior to detaining your children unless there are exigent circumstances. This is a relatively new DCFS policy, even though the case law is not new. If your children were detained without a warrant your civil rights were violated. 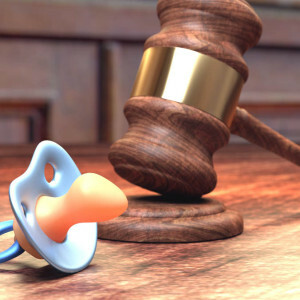 You and your family may be entitled to civil damages due to DCFS’ actions. The attorneys at Riley Khorram previously advised DCFS and the Board of Supervisors on these DCFS civil rights violations. We are available to represent you and your family to protect your civil rights and obtain compensation for your family’s suffering. Under the State and federal laws and regulations local child welfare agencies (DCFS or SSA) have certain mandatory duties they must fulfill once they become involved with a family or child. This list of duties is detailed and too extensive to enumerate in this space. However, if your family has been contacted by DCFS you need to contact us for a consultation to know what your rights are. The attorneys at Riley Khorram previously advised DCFS and the Board of Supervisors on these DCFS breach of mandatory duties. We are available to represent you and your family to protect your civil rights and obtain compensation for your family’s suffering. Riley Khorram is expanding its practice to include Estate Planning. Give your loved ones peace of mind and a responsible caring plan that provides for them without having to go through probate.